Hey guys. Well a sad story here, seems my '82 H18 tangled with the zero turn mower last fall and did not fare well. I've patched some 5-6 feet long gouges down both hulls but also discovered the lower rudder gudgeons going through the transom on both hulls. Any ideas for a fix? Don't care how ugly and not afraid to cut on her at this point since both hulls are cosmectically shot. I just need to reinforce the area above the drain plugs and get her back on the water for the season. The pics don't really show the damage but the gudgeons are just hanging and easily push into the hull to open a large hole. Only sail on a lake in light to moderate winds close to shore. That looks pretty bad, but a quick way to find out how bad is to fill the back space inside with water to see how much gushes out and where. If it only drips, you might be OK with just reinforcement instead of replacement. First thing is to remove the gudgeons and drain port, then start sanding off the gel coat to see how far the damaged fiberglass reaches. Good fiberglass is usually somewhat translucent, damaged fiberglass is white and opaque. Once you've gotten the gelcoat off of the damaged area, you'll need to sand down all the damaged fiberglass until you reach good fiberglass. Make sure to leave a gradual taper from the surrounding area unaffected by the damage to the hole. Given that you do have a hole, you'll need to either glass over the damaged area from both sides, or put a blank in the opposite side. Either way, it would probably be easiest to repair if you cut a hole in the deck to add a hull port. Once you're down to good fiberglass, put a blank on the inside to cover the hole (some kind of hard plastic backing). Then cut out pieces of fiberglass cloth and CSM (chopped strand matte) roughly the side of the damaged area, cutting each successive piece gradually smaller to fill the taper & hole, and leave a somewhat uniform thickness for the whole transom. Note that the fiberglass tends to "shrink" once wetted with resin, and shrink more still as it cures, so you'll want to build the area back slightly thicker. Fiberglass cloth should be applied in different orientations for each layer. You mix the resin and apply it to the transom and to each piece of fiberglass individually, then start layering them on. Once complete, you'll need to cover the area with saran wrap or wax paper to allow it to cure, as it doesn't cure when exposed to oxygen. Once it's fully hardened, you'll have to sand down the repair to make it flush with the hull. You can coat it with gel coat afterwards if you want, or you can just re-drill the holes and re-mount the gudgeons and drain. Fiberglass work isn't difficult, just a little time consuming. There are a lot of sources online to learn how to do it. 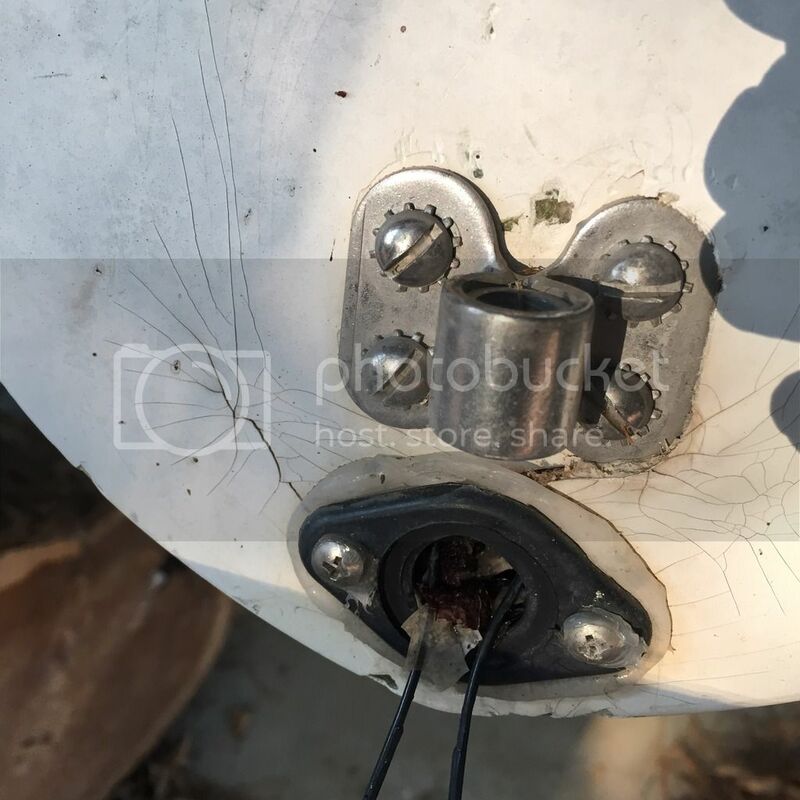 This being the transom, the fiberglass in that area is likely to be very thick and you may need to apply the fiberglass in several steps, as it may not fully cure if it's too thick. Say 3-4 layers of glass at a time might be a good approach. However, fortunately for you, there is not foam core in the transom to complicate the repair. 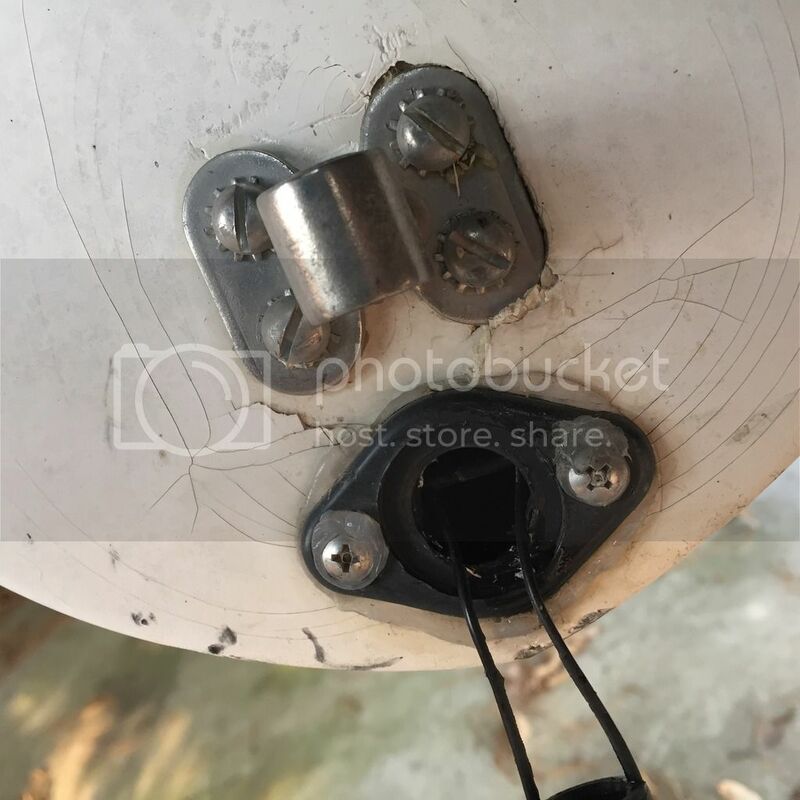 If he's able to push the gudgeon into the hull easily to open up a large hole, he's definitely in need of fiberglass repairs. Here's some more information on fiberglass repairs. I watched/read all these before attempting my first repairs, and they went as smoothly as I could've hoped for. I just completed a repair to one of my gudgeons this past week. The gudgeons are screwed into a 3"x3" square piece of aluminum backing plate that is in the fiberglass. Mine had broken out of the boat (when the rudder hit the bottom on a wave). So I had the plate and gudgeon all still attached. The outside of the aluminum plate only had about 2 layers of class. Inside behind the plate was thicker glass, but it had separated a little on the inside. The plate had corrosion going on between the plate and the inside layers of glass, so it had already separated. I was able use epoxy mixed with a filler to make a thick paste to glue the glass and everything back into place. It seems way stronger now than before. 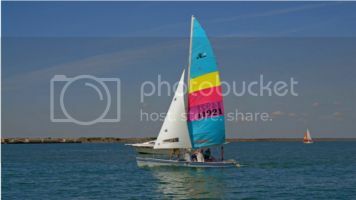 Anyway it was out sailing this past weekend with no issues. I would do what is recommended above and cut a port hole to get to everything from inside. Main point is that there is a plate behind there that needs to be re-bedded into the glass. Agreed. I would probably put a 5" access port in the back deck to take a look at the damage from the inside. If the aluminum plate is disbonded, that will need to be re-attached in addition to any rebuilding of the fiberglass structure. Keep in mind that there's a large foam block inside the hull between the transom and the daggerboard trunk which will be in your way. I would put the access port close to the transom so you can work around the block. Some people have even cut up and partially removed the block to gain access and then thrown pool noodles in the hull for flotation after the repair is done.